Congratulations to our 21 Musical Mustangs who participated in The Catholic University of America High School Honor Band on Saturday, January 19th. These students, along with high-achieving musicians from eight other Catholic high schools, were chosen to make up this year's honor band. 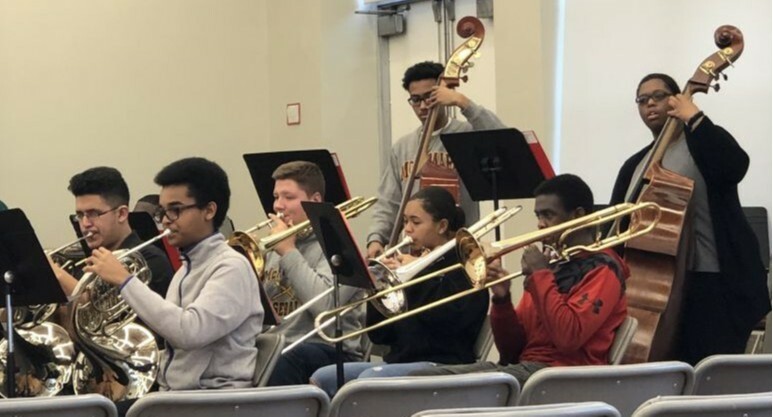 The students gathered early in the morning on the campus of Catholic University and participated in rigorous rehearsals and clinics throughout the day. The event culminated with an exhilarating concert that began with the honor band and concluded in a piece performed by honor band students alongside members of the Catholic University Wind Ensemble.